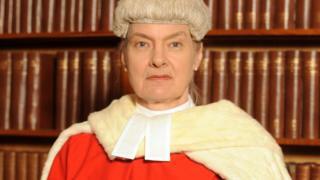 A High Court judge has been given "formal advice" after "momentarily" falling asleep during a hearing.The Judicial Conduct Investigations Office (JCIO) said the conduct of Mrs Justice Parker was found to have the potential to undermine public confidence in the judiciary.The judge, 68, who serves on the Family Division of the High Court in London, was investigated following a complaint.The JCIO said she "expressed remorse" for the incident. Lord Chancellor David Gauke and Lord Chief Justice Lord Burnett considered her conduct.The JCIO said: "While concluding that this amounted to conduct which had the potential to undermine public confidence in the judiciary, the Lord Chancellor and the Lord Chief Justice took into consideration that the judge fell asleep only momentarily and has expressed remorse for doing so. "Mrs Justice Parker is the second longest-serving judge serving in the Family Division of the High Court, after being appointed in 2008.She received a damehood shortly after being appointed, as is tradition for all female High Court judges. Most cases involving family matters in England and Wales will be heard by the Family Court.Some cases, such as those involving complex issues, may be referred up to the High Court.The court can also handle certain cases of child abduction, forced marriage and female genital mutilation.The Family Division is one of three divisions of the High Court of Justice, along with the Chancery Division and the Queen's Bench Division.